Have you seen the new article format? Providing a higher level of communication and engagement with the scientific community, the Article of the Future enriches and extends the reach of your research with a more powerful publishing format, bringing added value to your published work. What is the Article of the Future? to increase value to readers by providing an environment that offers an optimal reading experience, making it possible to build deeper insights more quickly. While current publishing consists of collapsing complex research on two-dimensional paper, the project aims to revolutionize this traditional format of academic papers with regard to three key elements: presentation (improved readability and navigation), content (discipline-specific or interactive material delivered by the author) and context (establishing connections to relevant scientific resources outside of the article). The left pane displays a table of contents for easy navigation, with clickable section headers and thumbnails of images and tables. 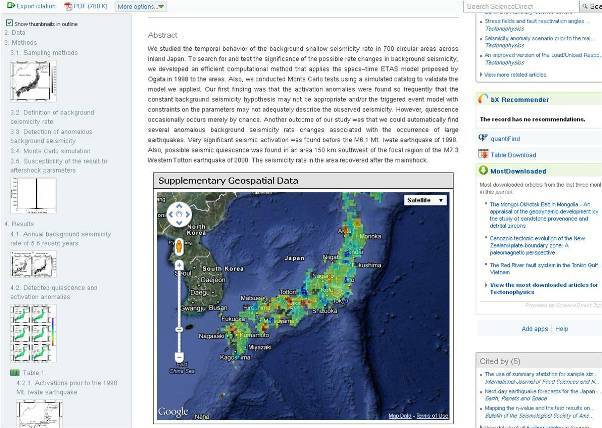 The middle pane features the article text "enriched" with interactive content, such as Google Maps and interactive plots and graphics. The right pane which will be introduced later this year, will feature discipline-specific applications to enable users to view more article enrichments and contextual information related to the article. 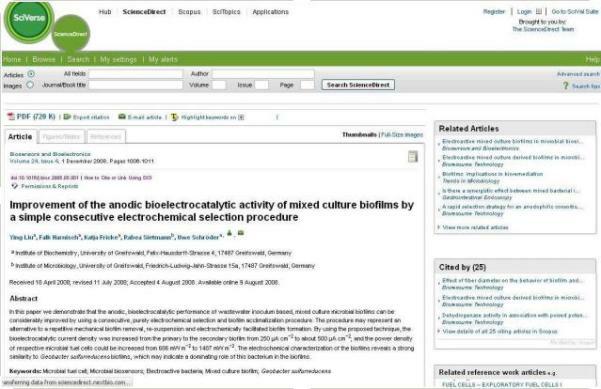 In January, the project reached a major milestone when parts of its proposed format were rolled out across all old and new (XML-based) full-text articles in ScienceDirect. The left and middle panes were released, implementing most of the presentation element and some of the content element in the newly designed article page. How did the Article of the Future come about? Since 2009, over 800 researchers, from various scientific disciplines have been involved in user interviews, behavioral studies, surveys, development discussions and testing. Resulting in consensus that a discipline-specific article is needed – one size does not fit all! In 2011, thirteen prototypes were introduced that incorporated a newly developed article format in seven scientific areas, each tailored to the needs of the relevant communities. Researchers were surveyed and the collected feedback on these prototypes was incorporated into the development of the redesigned online article. The process resulted in an easier-to-use interface that enables users to gain deeper scientific insight more quickly, while keeping as many dimensions of the original research intact in the online article. Hylke Koers, Content Innovation Manager, explains: "The main objective of this presentation-focused release is to introduce the best possible online reading experience in regards to typography and layout, using lessons learned from the PDF." 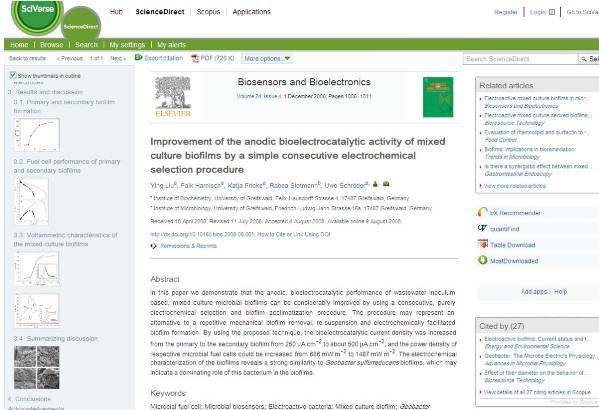 With the January ScienceDirect release focused mainly on the article presentation, a second key theme of the Article of the Future project is to enhance article content. The aim here is to increasingly enrich the value of research articles by including new and interactive content elements, mostly discipline-specific and connecting to the scientist's research and workflow. Ultimately, these aspects of presentation and content are interrelated, and improvements to the presentation of the Article of the Future will pave the way for future content developments, according to IJsbrand Jan Aalbersberg, VP of Content Innovation for S&T Journals. "A cleaner presentation was needed in order to take advantage of the content and context enhancements that we are rolling out," he explained. A number of these content enrichments have already been introduced in the past few months, and many more will follow. The most recent examples are: Genome Viewer, which displays detailed information on the genes mentioned in an article; Protein Viewer, which enriches an article in molecular biology with a 3D protein visualization and manipulation tool from the Protein Data Bank (PDB); and Google Maps, which provides maps of the key areas described in an article. In mid-2012, the third pane will be enhanced, paving the way for further content and context enrichments, in order to provide more discipline-specific applications and links to data sets. Extend the reach of your research, give it more credibility and increase the likelihood of use and citation. What is expected from the author as a contributor? The Article of the Future format is comprised of many parts, with contributions from both Elsevier and the author. With author content and support, this format is able to present research with many functionalities that a two-dimensional article doesn't have. For instance, in the case of some contextual elements, when linking entities to external data set providers, authors will need to tag the entities (like PDB codes and GenBank codes) to ensure that the reader can access additional information and better understand the article content. This is already practice in some disciplines. In regards to the content element, authors will need to supply content for this new article format if they so choose. However, it will be as close to their current workflows as possible – with requests for formats and additional content files that are usually already produced during the research process (for example, MOL files in Chemistry or KML files in Earth Sciences). These files are not obligatory, but they contribute to making the new article format more interactive and intuitive. As we prepare to introduce the scientific community to the next phase of the Article of the Future journey, we are looking forward to this year, as we implement ongoing content enhancements. Expect to hear more from us during this year! 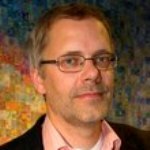 IJsbrand Jan Aalbersberg is currently Senior Vice President, Journal and Content Technology. From 1999-2002, he served as the Vice President of Technology at Elsevier Engineering Information (Hoboken, USA). As Technology Director for Science & Technology from 2002-2005, he was one of the initiators of Scopus, responsible for its publishing-technology connection. In 2006, he switched his focus as Technology Director to Elsevier's Corporate Markets. Since taking on the role of Vice President Content Innovation in 2009, he has strived to help scientists communicate research in ways they weren't able to do before. IJsbrand Jan holds a PhD in Theoretical Computer Science.